Grauman’s Chinese Theatre celebrates its 85th birthday this year and in honor of the occasion, the iconic L.A. landmark will be offering admission for only 25 cents, the same price it fetched on its 1927 opening, on select Mondays beginning April 2nd. On these 25-cent Mondays, Grauman’s and the Chinese 6 Theatres will show classic films premiered at the Hollywood monument over the past eight decades. 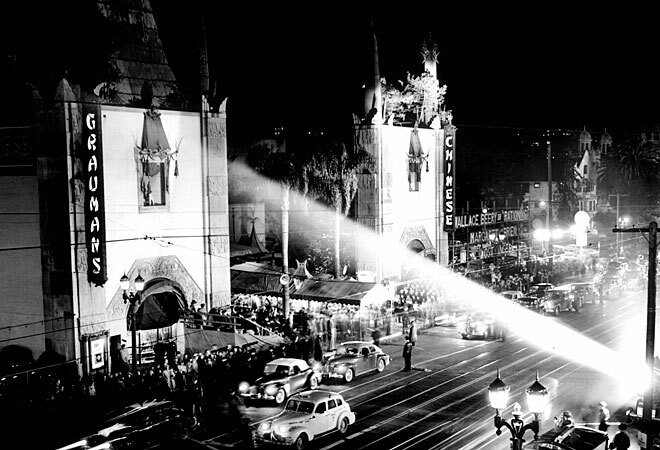 As a tribute to the birthday of one of L.A.'s greatest icons, we bring you a closer look at Grauman's rise as Hollywood's most famous movie theater and its rich history of milestones and events since 1927, from its first glamorous movie premiere to a recent Spongebob beatdown. Go HERE for my full article, published on Guest of a Guest L.A.